Victoria and Ottawa-area museums are returning 276 historic and spiritual artifacts to the Nisga'a, a First Nations group in northwestern B.C. There are 121 Nisga'a artifacts coming from the Canadian Museum of Civilization in the National Capital Region and 155 artifacts from the Royal British Columbia Museum in Victoria. The Nisga'a plan a celebration Wednesday to celebrate the handover. "This will be an emotional day for all Nisga'a people," Mitchell Stevens, president of the Nisga'a Nation, said in a statement. "It is a day that we put aside to pay respect to our Nisga'a ancestors' great artistic heritage." 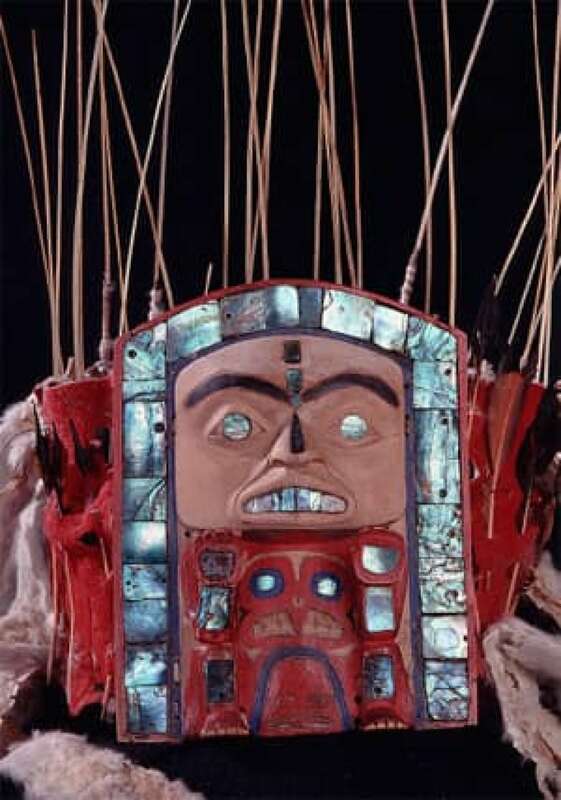 The items to be returned include carved objects, masks, headdresses, rattles, blankets and a totem pole crafted by Nisga'a artists, many dating from the early 20th century. They are being returned under the terms of the treaty signed in 2000 by the Nisga’a and the governments of Canada and B.C. Stevens told CBC News the return of the artifacts is "a very exciting time for the Nisga'a." "The culture of the Nisga'a is living culture. It's not for tourism — it's who we are," he said. "The museums were surprised when we negotiated with them, that we knew who the owners were of each artifact. In our culture, traditional items are handed down through the families." A museum that will house the artifacts is near completion, he said. "We have an agreement in place with the museums to share artifacts on rotating basis, so Canadians can continue to enjoy our culture," he said. Pauline Rafferty, chief executive of the Royal B.C. Museum, said the handover is significant because it is the first such exchange to result from a treaty. The museum has been discussing the artifacts since before 2000, and reached a separate agreement to conserve and protect them until the Nisga'a were ready to take possession, she said. "Our relation with the Nisga'a has gone back a long way, where we have always worked closely with the cultural material that we have," she told CBC News. About half the museum's collection of historic artifacts are being returned, but the museum is simultaneously collecting contemporary works, Rafferty said. "The First Nations material we have, we usually collect it in consultation with First Nations. We discuss with First Nations how we use that material, how we display that material and how we will publish that material. It's an ongoing discussion, regardless of ownership." The Victoria museum is working with the Nisga'a to help develop their museum project. It is the first time the Museum of Civilization has returned artifacts as result of a treaty with a First Nations group, according to a museum spokeswoman. The museum continues to have a large collection of other Nisga'a artifacts and is working with the band to improve interpretation of its culture at the Ottawa-area museum, she said. 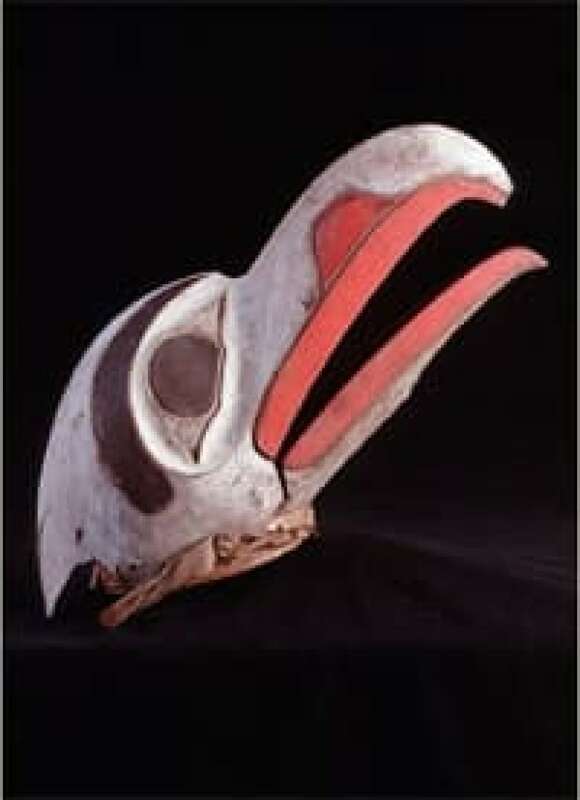 This carved wood mask was collected from the B.C. village of Gingolx in 1912 by C.F. Newcombe. ((Kate Gitzhun/Nisga'a Lisims government))The CMCC signed an agreement in 2003 to share possession of other objects of Nisga'a origin in the collection. It has a collection of more than three million First Nations artifacts, including many reflecting the cultures of the Pacific Northwest. Charles Frederick Newcombe, a British ethnographic researcher who had an interest in Northwest Coast Indians, collected many of the Nisga'a objects. His collection, amassed between 1906 and 1913, was sent to the Royal B.C. Museum, as well as museums in Britain. Many of the items being returned have spiritual significance, including a soul catcher, a hollow bone carved with three faces, and an eagle charm that would have been worn by a shaman, as well as rattles and masks used in traditional dance. The Nisga'a people have lived along the banks of the Nass River in northwestern B.C. for more than 5,000 years. The community is planning to build a museum in New Aiyansh to house the items. The Royal British Columbia Museum is in Victoria. An earlier version of this story said incorrectly it is in Vancouver.